ESmotorsport is forging ahead with plans to race in the 2019 FIA World Rallycross Championship and is working hard to prepare its Skoda for its Supercar debut. The team tested with Dakar rally winner Nasser Al-Attiyah and top Dutch rally driver Kevin Abbring at the Bikernieki Sports Base in Riga in September so comparisons could be made between the new car and the pace of current World RX teams, and has conducted further running with Abbring at the wheel in recent weeks on asphalt roads in the Czech Republic, with a focus on cooling and brake packages. 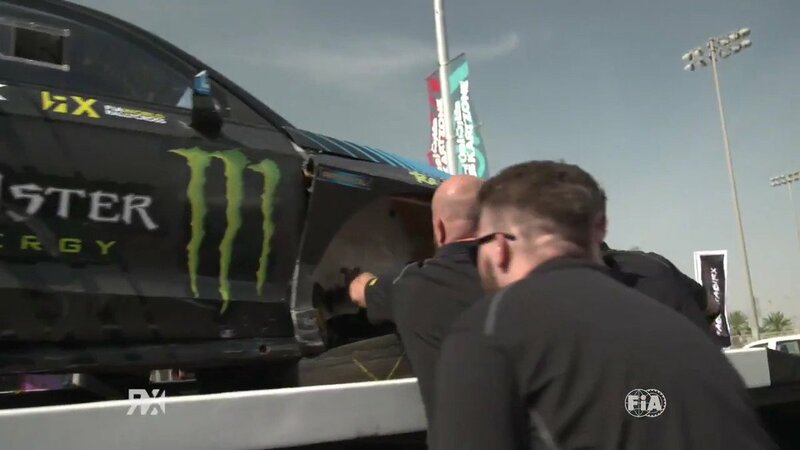 So far, over 500 kilometers of testing have been completed as the team works towards its first World RX start at the Yas Marina Circuit in Abu Dhabi on April 5/6 next year. With experience of competing in the FIA European Rallycross Championship for Super1600 for several years, the team is stepping up to the sport’s top level with the Fabia Supercar and is in the middle of a test and development programme. “We’re happy with our progress so far. We will drive again in the next weeks and through the winter so we can be as competitive as possible for World RX next season. We are testing in different environments to test the car out in different conditions,” said team manager Ramunas Fetingis. The Fabia has been constructed through a partnership with Thierry Viardot from Viason Sport and Ken Skidmore from Autotek. The Lithuanian team hasn’t confirmed who its drivers will be next season, but has said fans can expect a new face on the grid.